As expected the meeting was reasonably short with no major issues debated or deferred. One interesting last-minute addition to the agenda, Item 9.6.1, put forward by Councillors Horne and Saulnier, was a request for a concerted effort on the part of the Town to relocate government operations from the waterfront and use the land for commercial and tourism related activities. An interesting initiative that may well define what Council accomplishes this term beyond the usual management of streets, water and buildings. An important issue raised in the questions of Staff concerned the assessments of the ‘big box’ stores in Parry Sound, Wal-Mart, Canadian Tire, Home Depot and the Comfort Inn. These companies have appealed to MPAC regarding their assessments on a province-wide basis. They are looking to have their assessments reduced going back to 2010. Apparently the situation is close to settlement with Wal-Mart and it may cost the Town on the order of $200,000 for the years 2010-2014, with the loss of perhaps $50,000 in tax revenue annually going forward. Add in the other three corporations appealing their assessments and we have the potential for a significant loss in annual tax revenues for the Town, not to mention tax refunds for the years 2010 to 2014. This will impact the 2015 budget and all others going forward. This is why you don’t dip into the Tax Stabilization fund to pay for an election year tax break. It also appears that there will be no great tax break for Parry Sound related to the OPP cost restructuring, at least not in 2015. Because of the 5-year phase in of increases and reductions to individual communities the reduction to Parry Sound in 2015 will be offset by increased Courthouse policing costs. 2.1.1 – Application B/5/2014(PS). It is proposed to be rezoned from a Marine Residential (RM) zone to a Marine Residential holding (RM-h) zone. This does concern the landlocked property across Emily Street from the recently constructed Habitat for Humanity home. There was one speaker in support of the addition of a holding designation and none in opposition. Council will decide on this and announce a final decision in the weeks to come. 4.1 – Letter. Fluoridation of the Town’s Water Supply. Noted. 4.2 – Belvedere Heights’ 2015 Operating Levy. Noted. 4.4 – Letter. High Water Levels on Lake Manitouwabing. Noted. 5.1 – Perry Harris, CEO, Parry Sound Area Chamber of Commerce. Proposed Designated Information Centre, Year in Review. The presentation was well received and the request will be considered as part of the 2015 budget deliberations. 5.2 – Tony Romanelli, RCC Media Re: Digital Billboard on the CN Train Bridge crossing Bowes Street. Did not appear, so no action. I have sent a letter with my concerns about the proposal to Council, linked here. The letter was noted as part of the correspondence portion of the meeting. 5.3 – Petition to construct sidewalks to the new elementary school. The deputation was well received and will be included in the 2015 budget discussion. A question was asked whether the Separate School Board had been contacted as well. 8.1 – Support of Funding Request from Near North District School Board to Ministry of Education regarding joint school campus in Parry Sound. CARRIED. 9.3.1 – Resolution. Stockey Centre Catering Service Agreement. WITHDRAWN. 9.5.1 – Direction. Strategic Planning Ad-hoc Committee be established to develop an outline to develop the 2015-19. The Plan is based on a similar format to that undertaken in 2011 and submit the outline to Council February 3rd for approval. CARRIED. 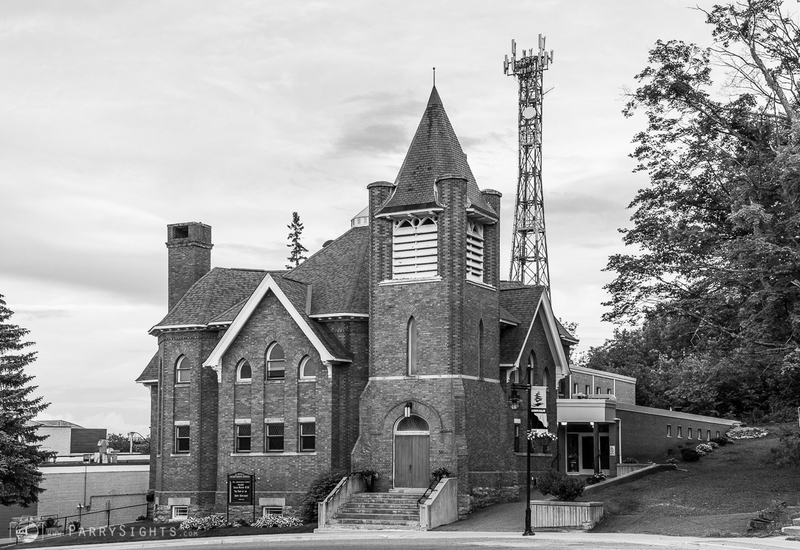 9.6.1 – Relocation of government offices from Parry Sound waterfront area. This was a last minute addition with no documentation. In brief, Councillors Saulnier and Horne are suggesting that the OPP and Service Ontario move to the Mall, the MNR move to the Coast Guard Base and Imperial Oil and Shell make their properties available for development. Their enthusiasm was palpable and is built on the experience of other municipalities that have revitalized their waterfronts. 10.1.1 – By-law. To appoint a Treasurer for the Corporation of the Town of Parry Sound. CARRIED. 10.1.2 – By-Law. To authorize temporary borrowing to meet the current expenditures of the Town of Parry Sound until taxes are collected and other revenues are received. CARRIED. 10.1.3 – By-law. To approve an Investment Policy for the Corporation of the Town of Parry Sound. CARRIED. 10.1.4 – By-law to define the purchasing policies and procedures for the Corporation of the Town of Parry Sound. CARRIED. The Council agenda preview for this meeting offers a bit more background for the individual items listed above. The best resource is the council meeting package available at the Town’s website.